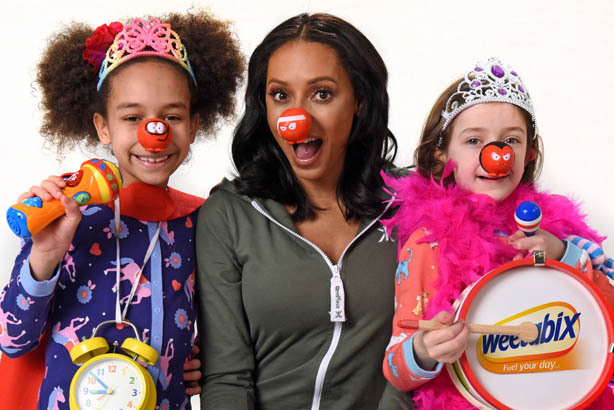 Former Spice Girl Mel B has reprised her role as Scary Spice in a rap battle video to promote Weetabix's Pick Your Nose packs, in aid of Comic Relief. The video, titled Morning Mayhem Rap Battle, is part of Weetabix's Pick Your Nose promotion, where 5p from the sale of every pack of limited edition Weetabix Strawberry, Weetabix Minis, Weetos and Ready Brek will be donated to Comic Relief. The short film shows Mel B rapping about the trials of the morning routine, with lyrics tackling the desire to go to school "dressed as a unicorn" and the refusal to eat breakfast with a spoon. The two-minute video is based on consumer insights from real parents about getting their kids ready for school. The Pick Your Nose packets also feature on-pack promotion, giving customers the chance to win experiences such as an indoor skydive. Frank PR is running the campaign and will be working with bloggers to trial the experiences customers can win. Caroline La Niece, Weetabix brand manager, said: "We hope this video rings true for parents and we can raise as much awareness as possible of our special edition Pick Your Nose packs, in aid of Comic Relief." Mel B said: "It was great to get back behind the mic, especially being in the same place we recorded Wannabe all those years ago. My co-stars were true professionals and certainly gave me a run for my money – I think it's safe to say they won the Morning Mayhem rap battle."